Gap Inc. Careers | Gap Inc. Equality is woven into the fabric of our culture and business practices. Not because it’s fashionable — but because it’s the way the world should work. We are proud to be the first Fortune 500 company to announce equal pay for equal work. 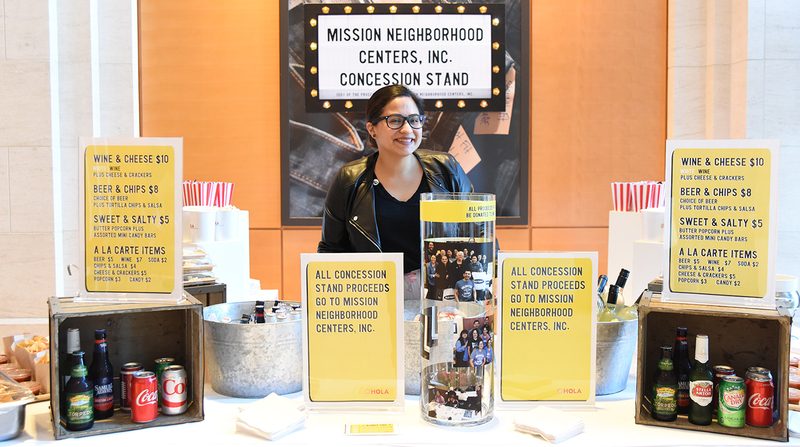 Through our This Way Ahead program, we partner with nonprofits to give teens and young adults a life-changing first job in our stores. From gender equality to promoting fair treatment around the world, we believe inclusion and opportunity are key to retaining talent and driving growth. Our P.A.C.E. program is committed to helping one million women around the globe take charge, dream bigger, and unlock opportunities to better their lives and communities. We believe that environmental issues are human rights issues. It’s imperative that we each do our part to protect it. That’s why we’re working hard to integrate sustainability more deeply into every aspect of our business. Nearly 75% of all global employees are women including 65% of store managers and 60% of our leadership team. About 91% of our current female executives were promoted from within or re-hired into the VP+ level. We're looking for true individuals. People with the courage to take chances and who understand that making a difference takes passion, patience, and persistence. 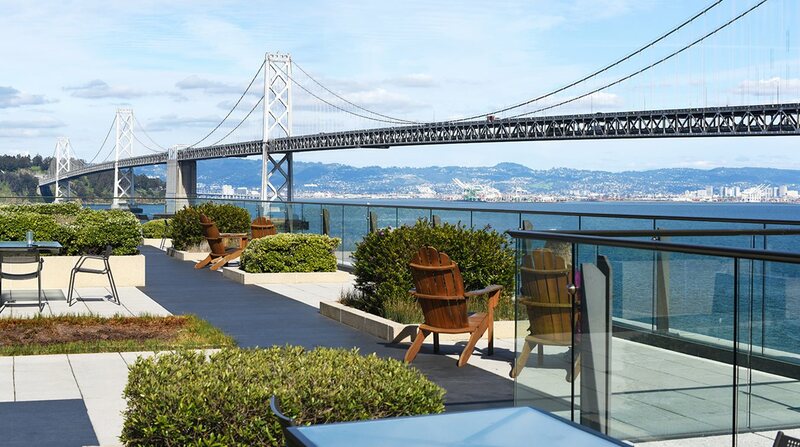 "I’m inspired by the many examples of people who’ve had incredible careers – crossing functions, brands, geographies – all under the Gap Inc. umbrella.​"
The most beloved spot at our San Francisco HQ. HOLA, our Latino business resource group hosts a screening of “Being ñ” during Hispanic Heritage Month for employees, complete with the film director herself + refreshments. 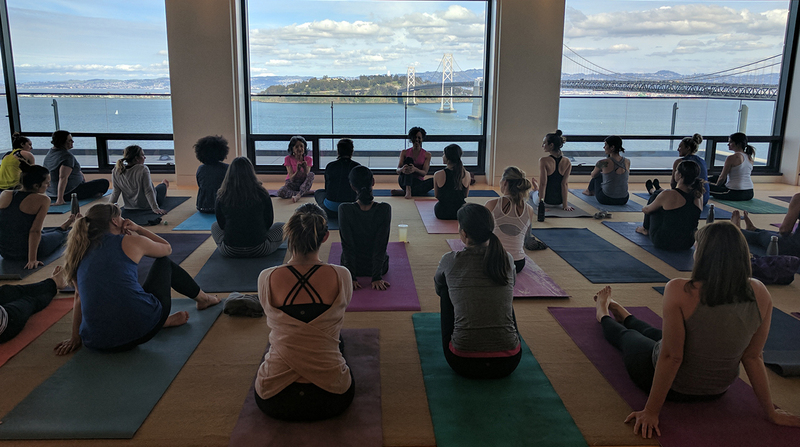 Employees take time to pause with a yoga class in one of the most scenic spots at HQ. 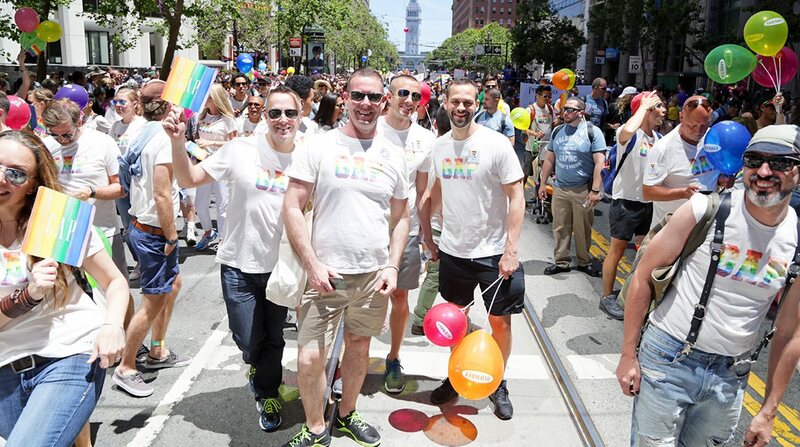 Gap Inc. employees marching in the San Francisco Pride parade. 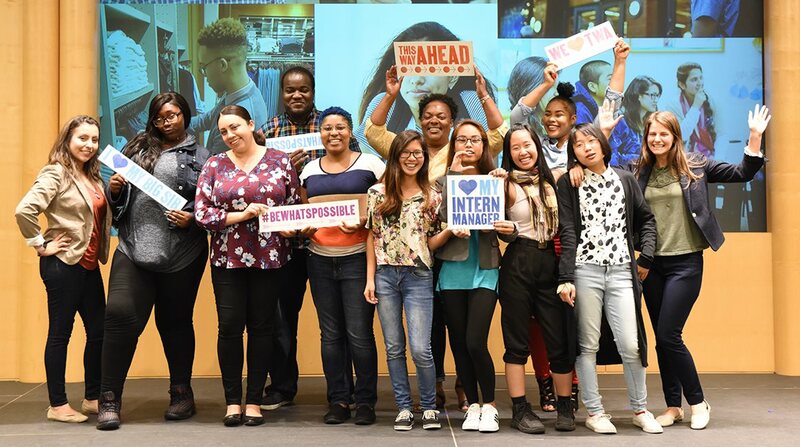 Celebrating the graduation of our most recent class of This Way Ahead store interns at our San Francisco HQ! We offer 50% off regular-priced merchandise at Gap, Banana Republic and Old Navy, 30% off at Outlet and 25% off at Athleta for all employees. We invest in education for employees with innovative training as well as a tuition reimbursement benefit, which may be used in conjunction with our Community College program. We provide a company match for contributions up to four percent of an employee’s base pay. You can also invest in the company through our Employee Stock Purchase Plan. Eligible employees can take up to five “on the clock” hours each month to volunteer at a charity of their choice. We are uniquely positioned to drive transformative change in the retail industry through both brand collaboration and mill partnerships with some of the best vendors in retail. We work diligently to create operational efficiency and value to the business and are the true product engine for our portfolio of brands.